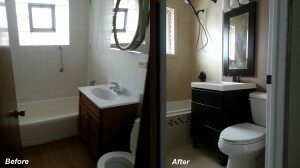 This bathroom in Bridgeview was extremely outdated for our client. They were looking for something more contemporary so they reached out to Krozak Remodeling. 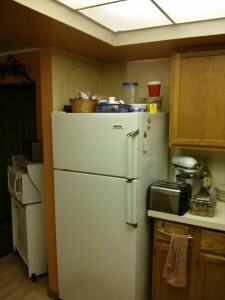 This became a gut remodel and our crew went ahead and replaced everything. 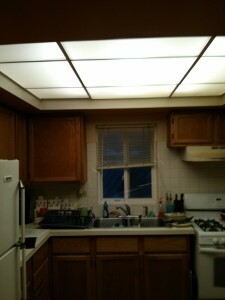 All the faucets were replaced, new tiles on the walls and floor, new vanity, toilet, and new lighting. The client now has a new soaking bathtub and niches in the walls to store all of their shampoo bottles, etc. 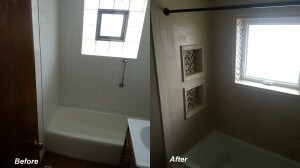 As you can see in the pictures, the transformation is incredible and our client is absolutely in love with their new bathroom. This entry was posted in Bathroom Remodel, Flooring, Tile Work on May 26, 2015 by Krozak. 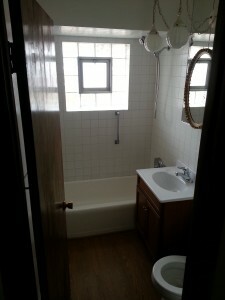 A “before” picture of a bathroom remodel we will be undertaking. This entry was posted in Bathroom Remodel, Tile Work and tagged bathroom remodeling, bathtub replacement, tile installation on May 19, 2015 by Krozak. 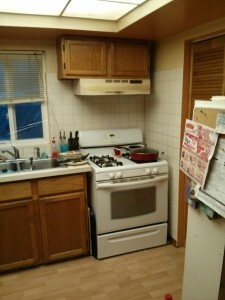 This entry was posted in Counter tops Replacement, Flooring, Kitchen Remodel, Lighting Replacement on March 29, 2013 by Krozak. 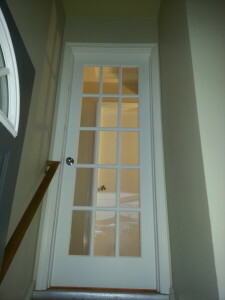 Krozak installed a new French 15 window door at a residence in Oak Lawn. 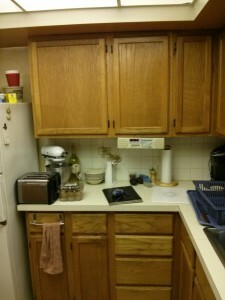 Take a look at the before and after. The old door had seen better days. Using a French door really opens your room up and makes your home have a more spacious feel. They are also great for letting in additional sunlight. The homeowner was very happy with the finished product. 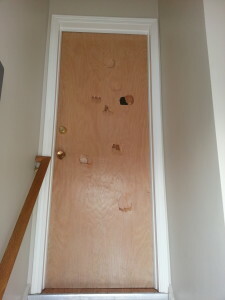 This entry was posted in Interior Door Replacement and tagged door replacement oak lawn, french door oak lawn, interior door replacement on February 16, 2013 by Krozak.